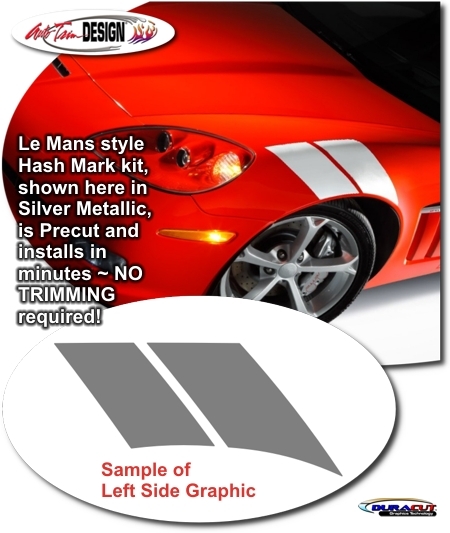 Trick out your Chevrolet Corvette C6 with these simple yet aggressive Grand Sport inspired "Le Mans" Style Racing Fender Hash Marks. Available here in Dark Red, Hash Mark is "right-sized" - very close to the 2010 Grand Sport version. Please Note: Hash Mark offered in this Garage Sale is for the Right Side (Passenger). Kit will fit all models of this vehicle, including Coupe and Convertible body types.